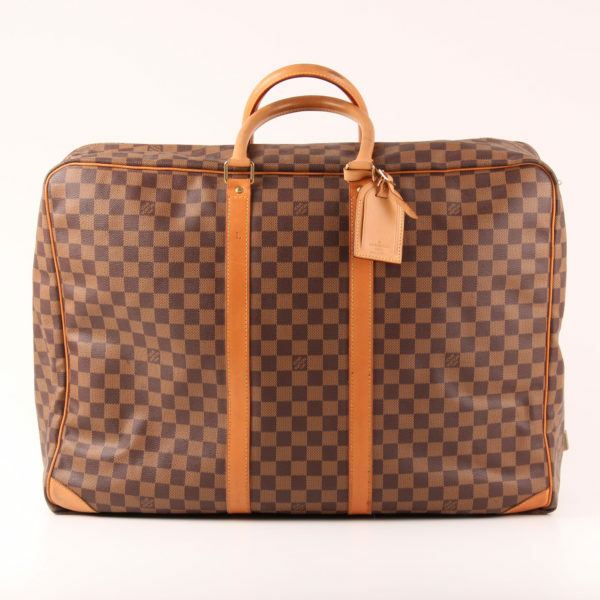 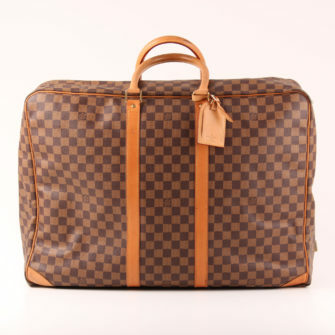 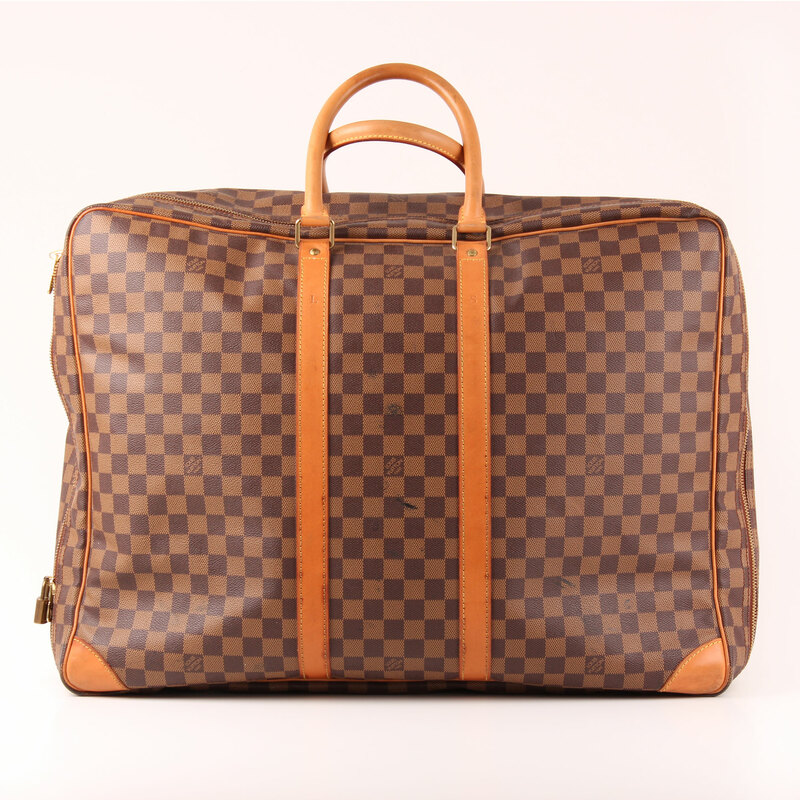 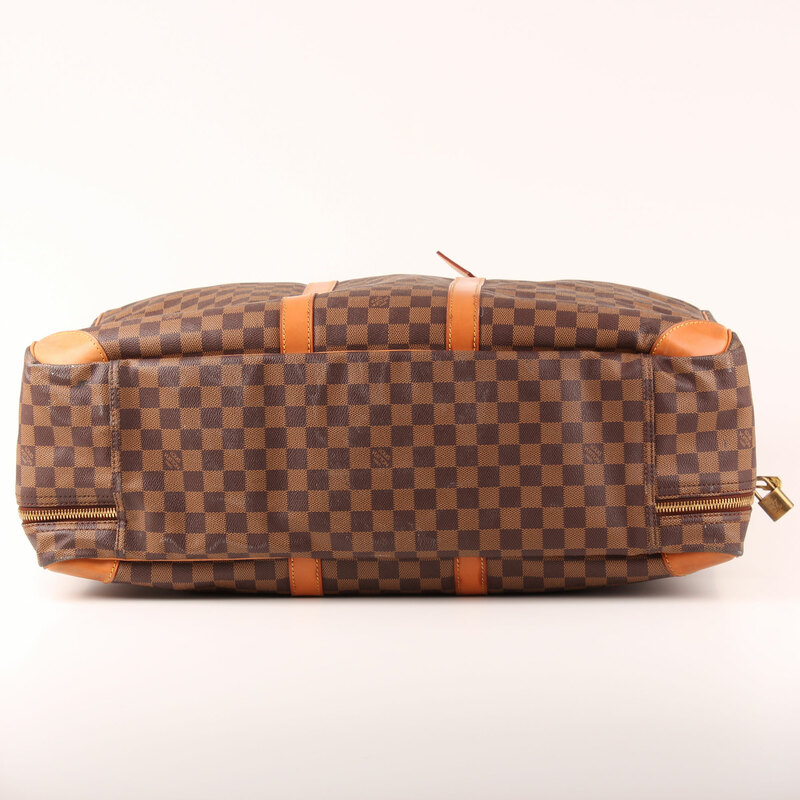 Louis Vuitton Suitcase Sirius 55 Damier "Ébène"
Sirius 55 Damier. 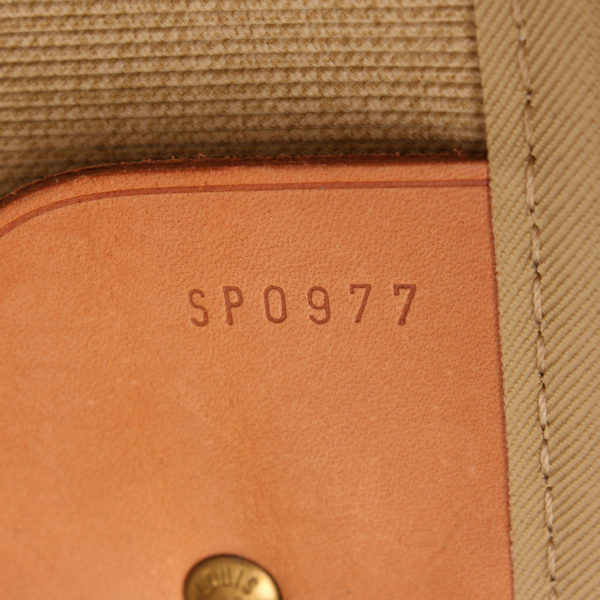 The little sister in this classic suitcase Sirius family. 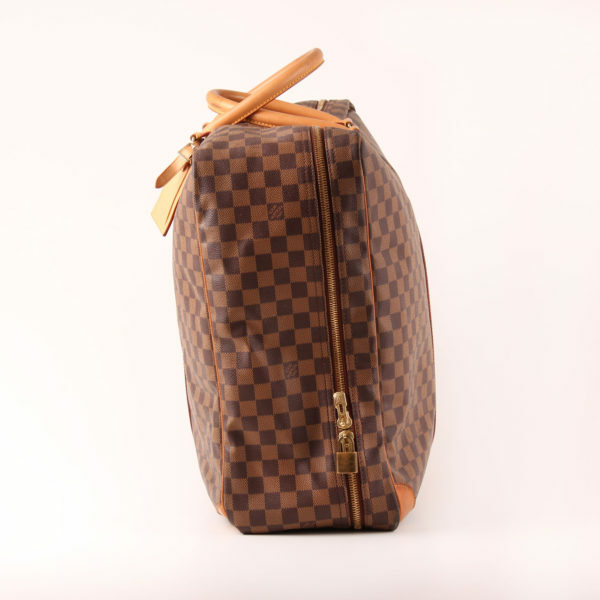 Double zip, leather trim and gorgeous Damier canvas. 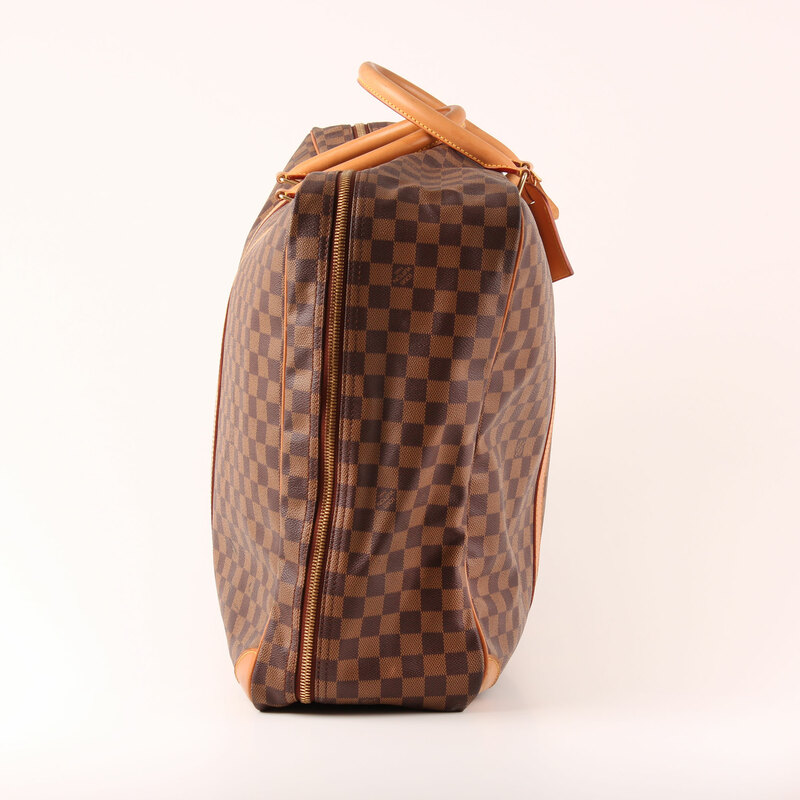 Louis Vuitton Sirius 55 in Damier Ebony canvas. 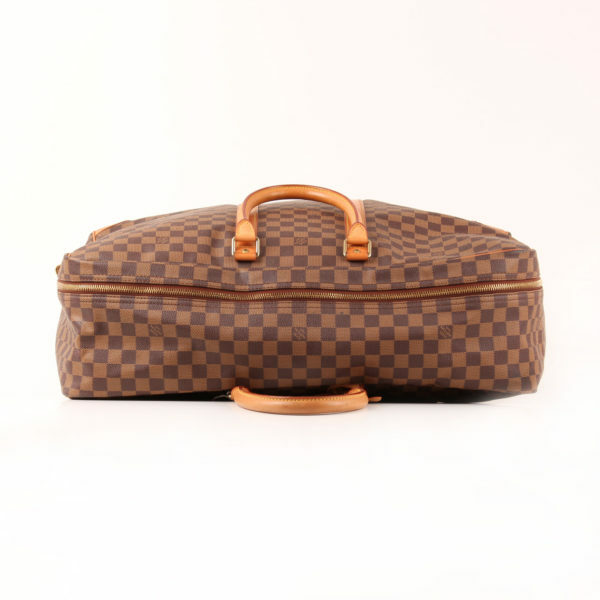 This suitcase is the little sister in the Sirius family, the typical rectangular shaped classic suitcases in the French brand. If features gold hardware, double zipper, double handle in brown leather and leather trim, both in the front part and edges. Base corners are also reinforced in leather. 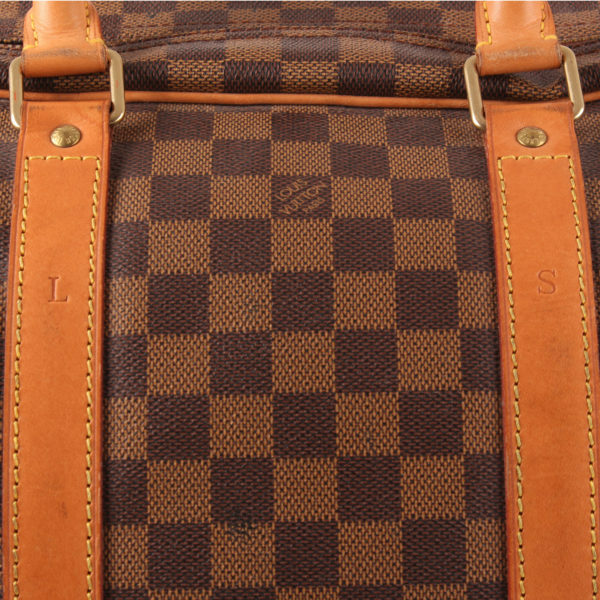 Lining shows a big push lock pocket under upper part of the suitcase. 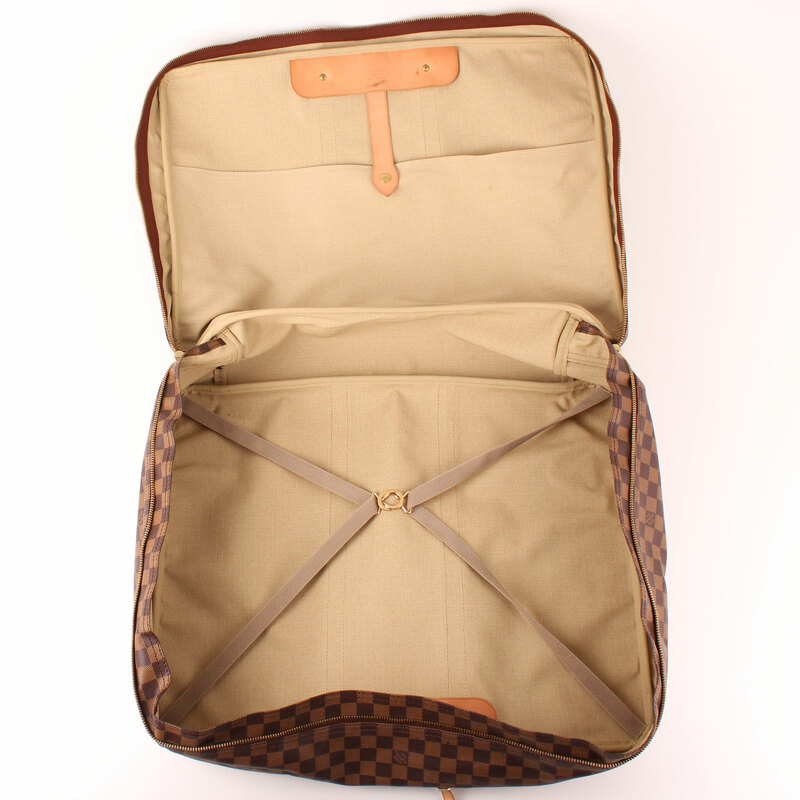 In the main compartment two straps with lock to prevent luggage from moving. 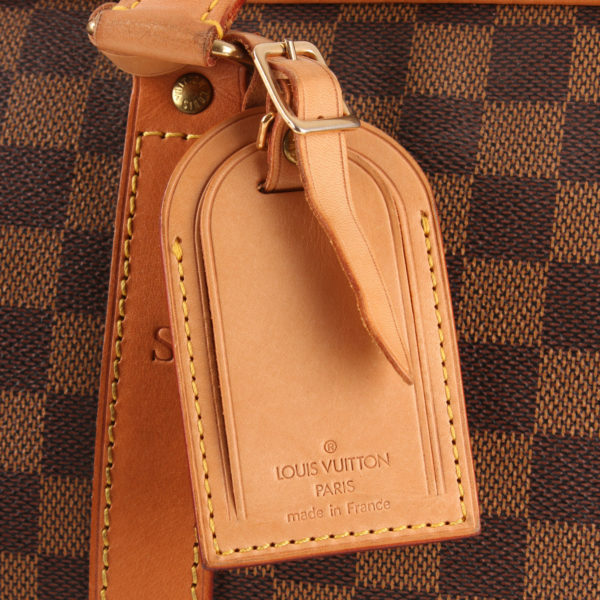 Incluye: Travel tag and lock. 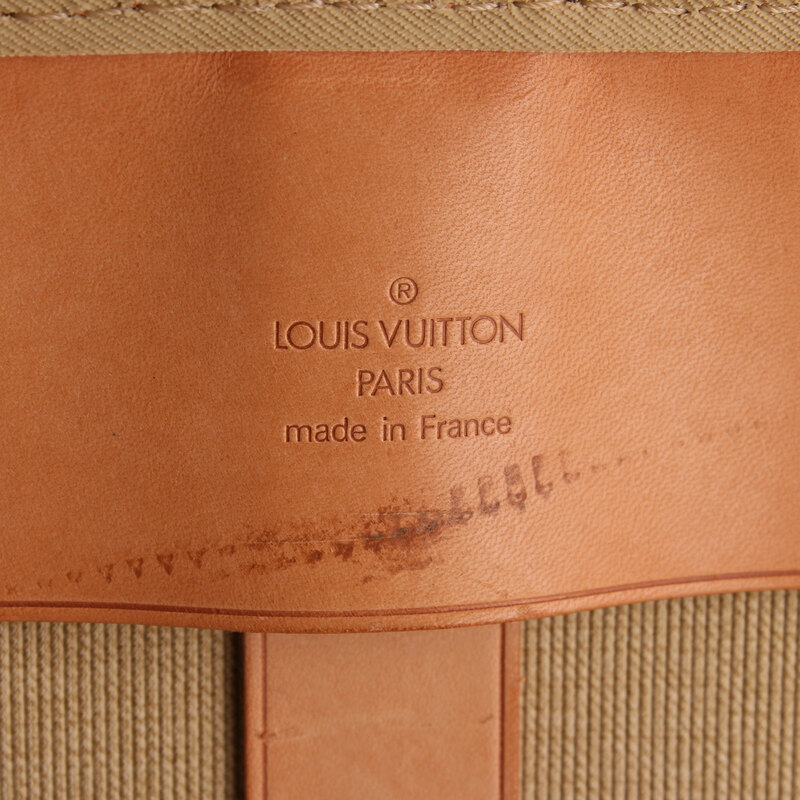 Detalles: Signs of wear in canvas, mainly at base. 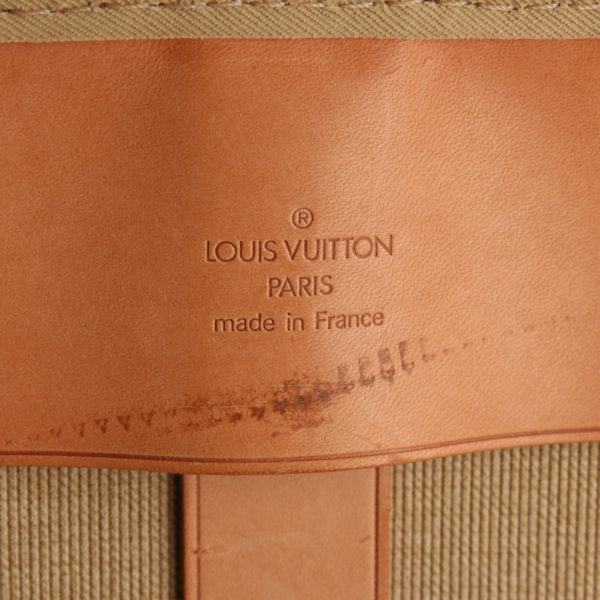 Some scratches at leather. 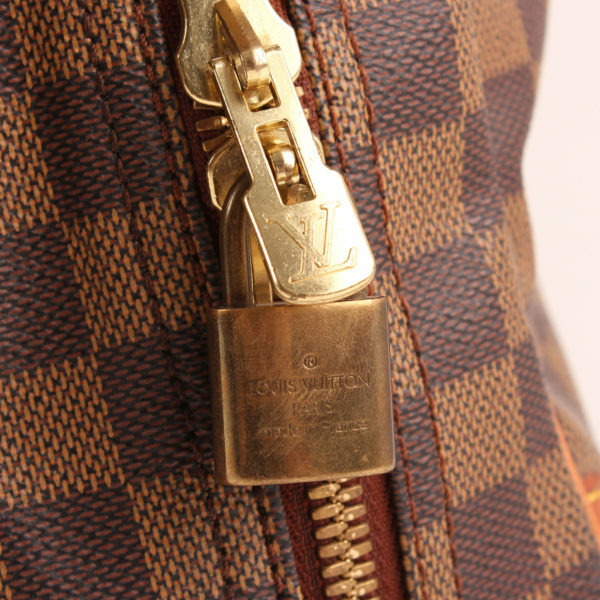 Little spot in one handle. L.S engraved in leather trim on the front part.